Huss Park Attractions GmbH has announced details of a number of new ride projects for 2013 and beyond, with parks around the world set to benefit from the introduction of a variety of the company’s attractions. Among the first of the new installations to open will be a package of two rides at a new safari themed park in Chong Qing, China. This will include a Top Spin Suspended, one of the company’s most successful attractions with examples operating all over the world, featuring 38 seats positioned back-to-back. The second ride is one of the company’s King Kong rides, the fourth to be built. The family attraction features 24 seats and a number of special effects to add further to the experience, including sound, mist, shining eyes and seat vibrators. A King Kong will also be a signature attraction at the new Vialand theme park in Istanbul, Turkey, which is due to open to the public in the near future. The ride will be situated in its own themed area and will again feature a range of special effects similar to those on the Chong Qing ride. This example will be the fifth such ride to be delivered by HUSS® since its introduction to the market in 2008. Additionally, and following similar recent projects at OCT Happy Valley Wuhan in China and for Merlin Entertainments in Weymouth, UK, installation is due to begin in May on the next Huss Sky Tower, this time at Changzhou Dinosaur Park, China. The attraction will rise 120m into the air with passengers seated outward facing in a rotating, circular cabin which will allow them to enjoy a spectacular panoramic view of the surrounding area. Delivery is also currently taking place of a package of four attractions to Ningbo Romon World, again in China. 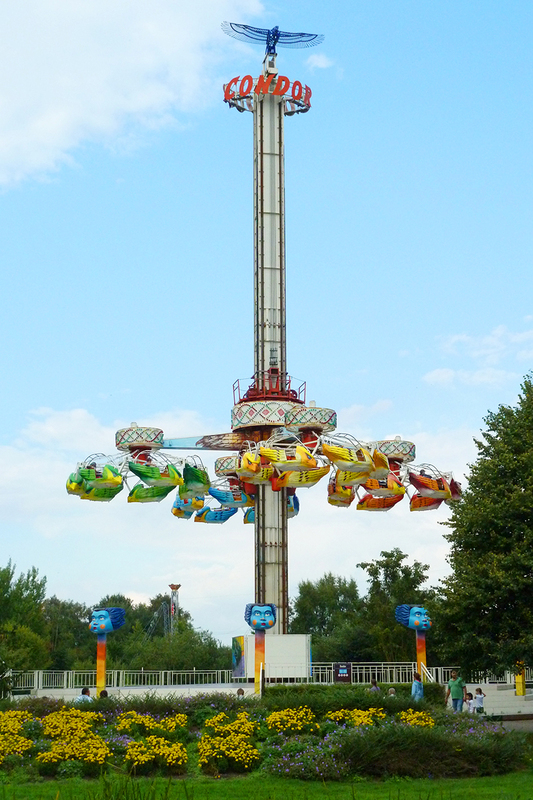 The rides included in the project are a Top Spin Suspended, a Giant Frisbee, both from the HUSS® thrill ride range, a Break Dance family ride and a Pirate Ship, one of the company’s classic/family attractions. The Top Spin will again be a 38 suspended seat model, while the Giant Frisbee will take passengers up to a height of 42m as it swings pendulum-style 120 degrees to each side of a central hub. The 40 passenger gondola also rotates at 8rpm during the ride sequence. 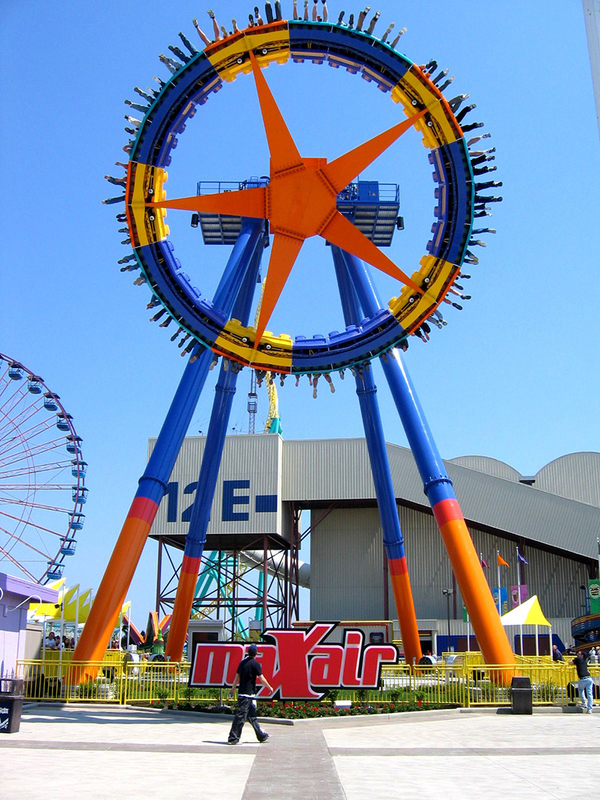 The Break Dance 4 is one of the HUSS® Advanced System Rides (ASR), a group of compact family rides derived from the most popular HUSS® attractions. It has a central rotation and three counter rotating gyros, each of which holds four gondolas. There are a total of 12 gondolas, each accommodating two passengers. And the Pirate Ship is another of the company’s long-standing attractions, accommodating between 45 and 55 passengers seated in a large boat which swings up to 75 degrees to either side of two steel ‘A’ frames. Another of HUSS®’ most successful attractions over the years is also the subject of two forthcoming projects announced by the company in China for 2014. The Condor enjoyed much success during the 1980s and 90s, with 30 examples being sold during this period, and now HUSS® has once again added it to its active portfolio of products available. The ride is now being offered as the Condor 2-G (2nd Generation) with an improved ride design, although it keeps its basic format of a central tower structure and four main arms, at the end of which are spar boxes carrying star shaped steel frames, attached to which are seven, two-person gondolas. The gondolas reach a height of 26m during the ride and swing out as they rotate around the spar box. 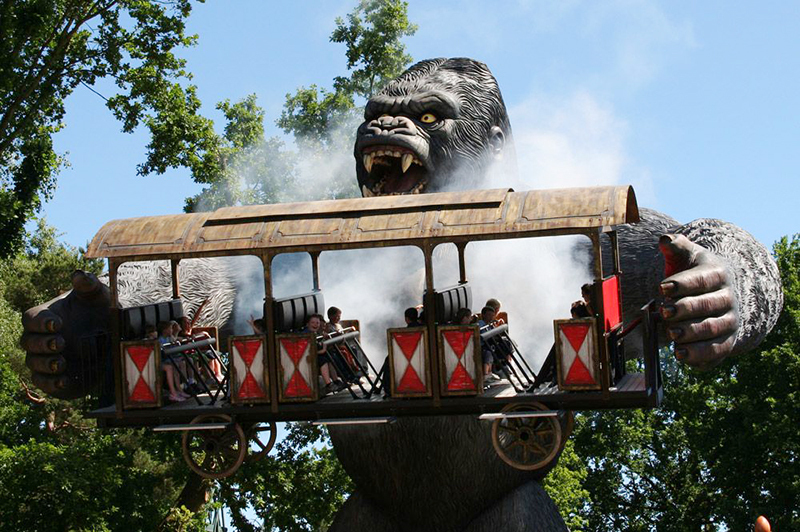 King Kong – A King Kong ride will be one of the signature attractions at the new Vialand theme park in Turkey. Condor - HUSS® has reintroduced the Condor to its active portfolio of classic rides and the attraction now benefits from an improved ride design. Giant Frisbee – The HUSS® Giant Frisbee has proved to be a popular attraction at many parks over the years.